Franciacorta, located in the province of Brescia, roughly an hour’s drive from the center of Milan, makes arguably Italy’s best sparkling wines. The region is characterized by flatland and hillside vineyards bound to the north by Lake Iseo, to the south by Mount Orfano, to the west by the Oglio River and to the east by the Rhaetian Alps. There are 19 different townships in the Franciacorta production zone, and even though most Franciacorta estates are quite large and own vineyards all over the denomination, it is useful to know that townships in the northern and eastern half of the Franciacorta denomination (especially Ome, Rodengo Saiano, and Gussago San Martino) benefit from a generally cooler microclimate. Thanks to its favorable climate and soil conditions, viticulture has been practiced in Franciacorta since at least ancient Roman times, but the area’s vines and wines were well documented during the Middle Ages as well. The name Franciacorta dates back to at least 1277, when a municipal statute of Brescia referred to the area south of Lake Iseo, between the Oglio and Mella rivers, as “Franzacurta.” At that time, the area was already known for its wine production, and much of the local output was sold in nearby Brescia and other towns in the surrounding valleys, such as those in the Valcamonica and Valtrompia. The name Franzacurta/Franciacorta derives from the Latin words curtes francae, or corti franche in Italian, a reference to the fact that, with the arrival of monks from Cluny, this area was briefly exempted from paying taxes. The Franciacorta area is famous for both still and sparkling wines, all made from international varieties (mostly Chardonnay, the Cabernets, Pinot Noir and Pinot Blanc), but has become especially associated over the last 30 years with extremely successful sparkling wines made by secondary fermentation in the bottle in the manner of Champagne. Over this time period, producers have accomplished to create a real awareness of their wines in the minds of the wine-loving public, who now walk into stores and restaurants asking for a glass or bottle of “Franciacorta,” just like they do with Champagne. In brief, Franciacorta has come to be identified with a wine-producing region and its specific sparkling wine. And in recognition of the importance of the “Franciacorta” name, the area’s still wines, previously called Terre di Franciacorta Bianco and Rosso, were officially renamed in 2008 to Curtefranca Bianco and Rosso, in an effort to avoid a confusing duplication of the “Franciacorta” name. As much as I love Champagne, it is only fair to point out that Franciacorta has the most demanding sparkling wine production guidelines in the world. Of course, that is no guarantee that quality wines will follow, but it is admittedly a good start, especially considering the ridiculous examples offered by production guidelines of many other Italian denominations (beginning with the at-times laughably high allowed yields, for example). Instead, Franciacorta’s maximum allowed yields per hectare are lower than those of Trentodoc, Champagne or Cava, and the minimum times the wines must spend on the lees are longer than those of the world’s other sparkling wines. For example, non-vintage Franciacorta wines have to rest 18 months on the lees (only nine months for Cava and 15 months for Champagne, Trento and Oltrepò Pavese), while vintage Franciacorta wines must spend a minimum of 30 months on the lees (compared to 24 for Champagne, Trento and Oltrepò Pavese and 15 months for Cava). Although both Franciacorta and Champagne can make potentially great sparkling wines, the two regions and their wines could not be any more different. 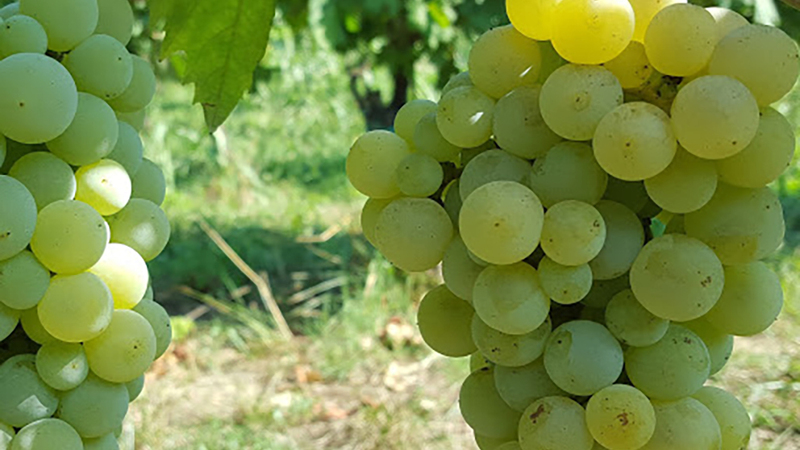 One important distinction is grape varieties: while both regions use mostly Chardonnay and Pinot Noir (Pinot Nero in Italian), in Franciacorta the third main grape is Pinot Bianco and not Champagne’s Pinot Meunier, a variety of which there are few plantings in Italy. Also, Franciacorta boasts a unique category of sparkling wine called Satèn, analogous to French Crémants (Satèn is bottled at lower atmospheric pressure and made only with Chardonnay and/or Pinot Bianco, so the resulting wines are smoother and creamier than most other sparkling wines). Last but not least, Franciacorta is characterized by a much warmer climate than Champagne, as demonstrated, for example, by simple growing-degree-day measurements (Champagne’s Winkler index is roughly 1000, Franciacorta’s hovers at 1500). This means that Franciacortas are generally fuller-bodied wines, with rounder, softer mouthfeels than Champagnes, offering aromas and flavors of ripe yellow fruit and sweet spices rather than Champagne’s lemony, green apple, and white floral nuances. In fact, the warm mesoclimate and potential lack of acidity in wines has pushed Franciacorta estates to reevaluate Pinot Bianco, the use of which had been gradually reduced in favor of ever-increasing percentages of Chardonnay; however, Pinot Bianco brings noteworthy freshness to the finished blends, a characteristic of great interest to producers in these days of encroaching climate change. On this note, the producers’ consortium has also moved to allow a local native grape, Erbamat, into the official list of allowed varieties. Erbamat is a late-ripening, very high-acid grape variety. Its inclusion in Franciacorta allows for wines of more vibrant acidity. Currently, as much as 10% Erbamat can be included in Franciacorta blends (in all but the Satèn category), but it is still being studied by the estates. In time, it is likely that small percentages of Erbamat will be found in man, if not most, Franciacortas. Franciacorta’s rocket-like rise to success knows no equal in modern Italian wine. The denomination was essentially launched only in the 1960s, and since then one can argue that the area’s producers have never really made a faux pas. The denomination is blessed with a consortium that actually works and that has helped Franciacorta gain in fame and notoriety over time. 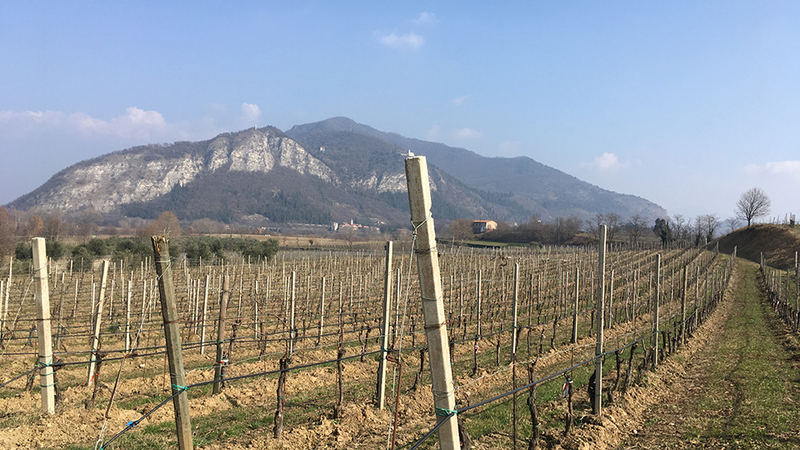 For the most part, Franciacorta producers get along, or, at the very least, are intelligent and worldly enough to row in the same direction for the common good. Of course, it doesn’t hurt that many Franciacorta estate owners are or were extremely successful in their day jobs (or the jobs they left in order to become full-time vignaioli and winemakers); these are individuals who are used to drinking world-class wines and have a clear idea of what quality is really about. The intelligent opening up to the possible use of Erbamat is another telling example of just how aware Franciacorta producers are; and the fact that as far back as 2004, at the explicit request of the consortium, a decree regulating the use of the "Talento" wording by Italian VSQPRDs (and VSQs excluded the Franciacorta DOCG area from having to use the word “Talento” to indicate their sparkling wine also reflects a forward-thinking and very capable bunch of producers (clearly, it was a much better idea to push the name Franciacorta, which ties the wine to a specific region, rather than a meaningless fantasy name such as “Talento”). Two thousand and five is my favorite recent Franciacorta vintage, by far. Characterized by cooler average temperatures and strong diurnal temperature variations, the wines are beautifully chiseled and relatively cool-climate in their aroma and flavor profiles, with very low pH values. The 2006 vintage was characterized by a very dry early summer, but beneficial rain episodes in August and good day/night temperature variations allowed production of wines that are richer and rounder than those of 2005, and blessed with just enough lively, harmonious acidity. In 2007, a very mild winter and spring led to bud-break happening 20 days earlier than normal, though slightly cooler summer temperatures allowed for a rather later harvest than expected. Still, the year was ultimately characterized by an early harvest of gently fruity, floral wines that lack the vibrancy and depth of the best of 2005 and 2006. The 2008 vintage was the polar opposite of 2007, with a cold, gray spring leading to bud-break occurring about two weeks later than the normal yearly averages. The wines are very classic and refined, but lighter-bodied than usual. In 2009, the early-season weather was more similar to 2007 than 2008, with bud-break occurring earlier than usual. The vintage was characterized by essentially warm weather and timely rain episodes, and wines are fleshy but also vibrant. 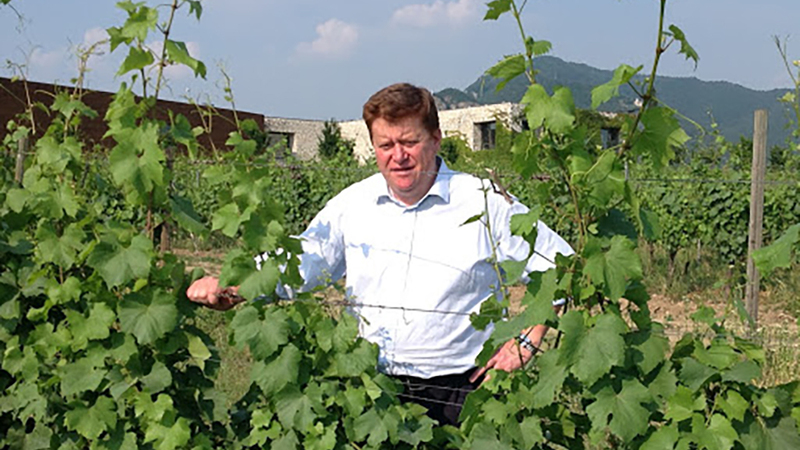 Of Franciacorta’s most recent vintages, the 2010 is perhaps the least successful of all, reflecting especially rainy and cold weather in May and June and noteworthy disease pressure. Less successful wines are generally a little thin and can be marked by green streaks. The 2011 vintage will long be remembered as one of the best in memory, with enough heat and rainfall to guarantee long hang times and smooth, ideal ripening of the grapes. The wines are full-bodied but refined and very complex - so good that this is the first vintage in which Franciacorta Riserva wines were made. By contrast, the 2012 vintage was less successful; rain and cold weather led to protracted flowering and disease pressure, which resulted in lower production volumes than usual. Mercifully, temperatures increased sharply in mid- to late July, allowing harvest to occur at a normal time (mid- to late August). The 2013 vintage proved even more difficult, with the early part of the growth cycle taking place in the coldest and rainiest conditions of the previous decade. Disease pressure and rain during flowering reduced fruit set and consequently production volumes. 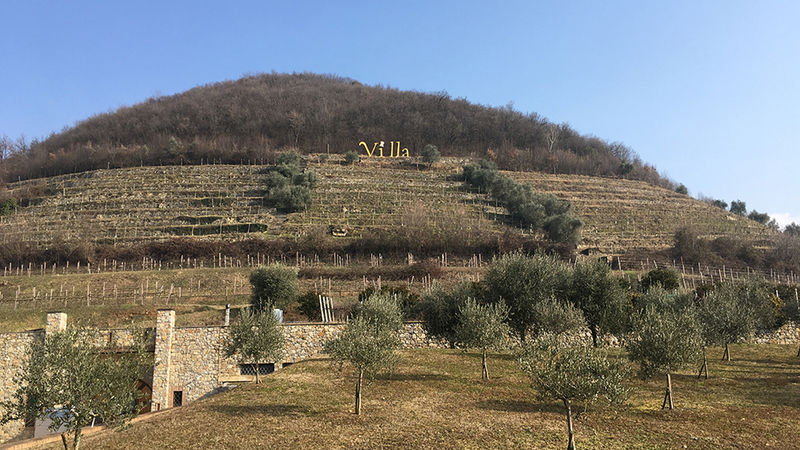 The vintage was essentially saved by a cool but rain-free summer and autumn that allowed for the longest hang times in recent memory, and the harvest took place as late as mid-September - unheard-of in Franciacorta in the last 10 years or so. The better wines are especially vibrant and more mineral than usual. Like almost everywhere else in Italy, the 2014 vintage was marred by rainfall. It started out auspiciously enough with an uneventful, warm spring, and initially held much promise; however, almost nonstop rain throughout the late spring and summer made for a difficult time, and careful sorting of the grapes at harvest was an absolute must. In my opinion, this vintage’s reputation preceded it, and in fact many of the year’s white wines (from all over Italy) have turned out better than expected and quite good, if not blessed with memorable staying power. And just like those still wines, Franciacorta’s best 2014 bubblies are full of early appeal and fruity charm, though probably best drunk up early. The wines in this report were tasted in my office in Rome and at Franciacorta wineries in February, July, September and October 2018.